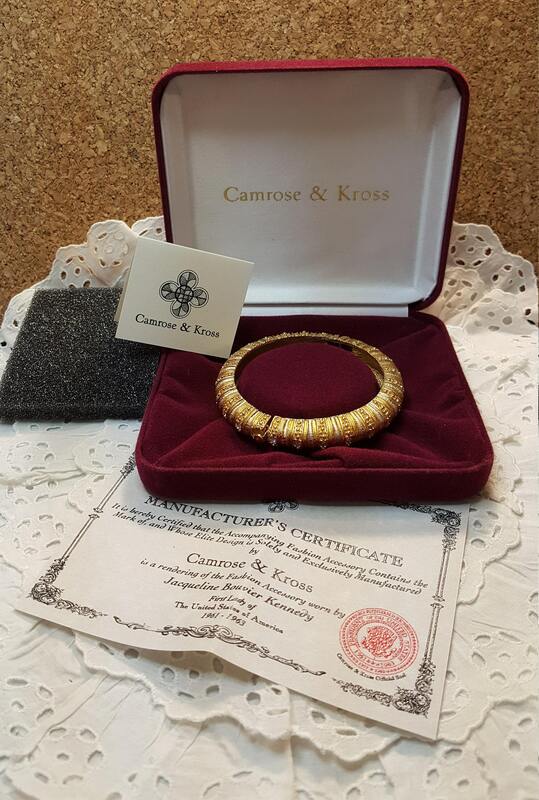 A New In Box Hinged Bangle Bracelet with Simulated Stones by Camrose and Kross. The gold is not solid, it is gold plated. The stones are clear. 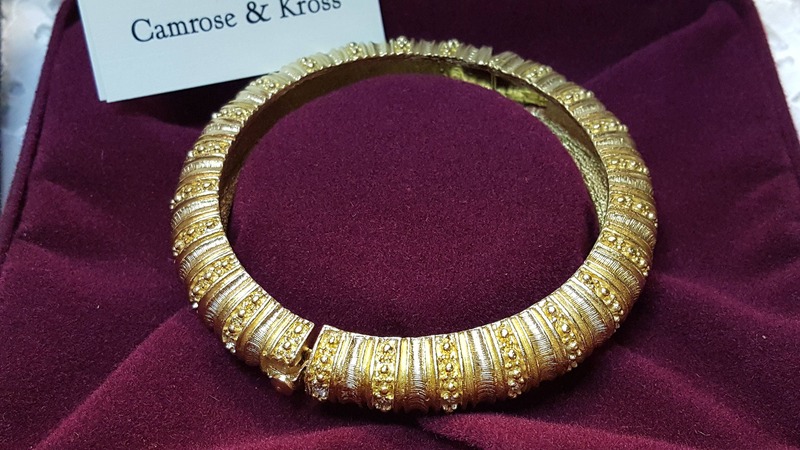 The bracelet is a copy of First Lady Jacqueline Bouvier Kennedy's bracelet. 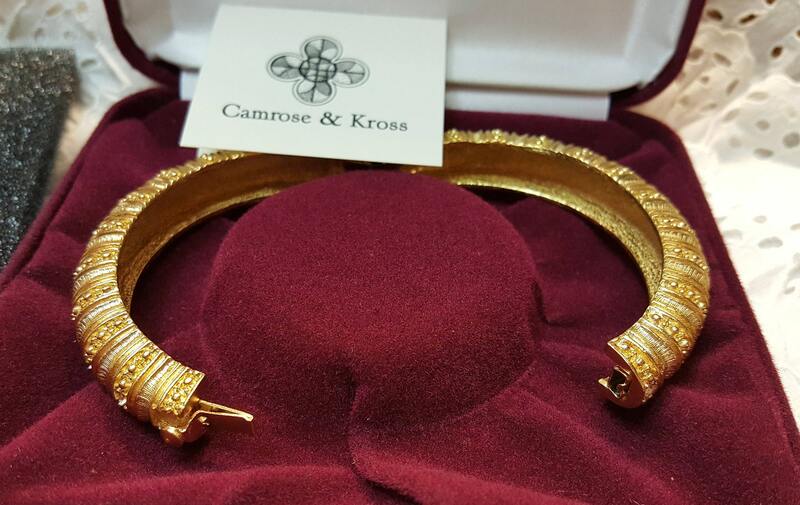 Camrose and Kross had the exclusive rights to produce copies of her collection. This item was originally sold on a home shopping network. 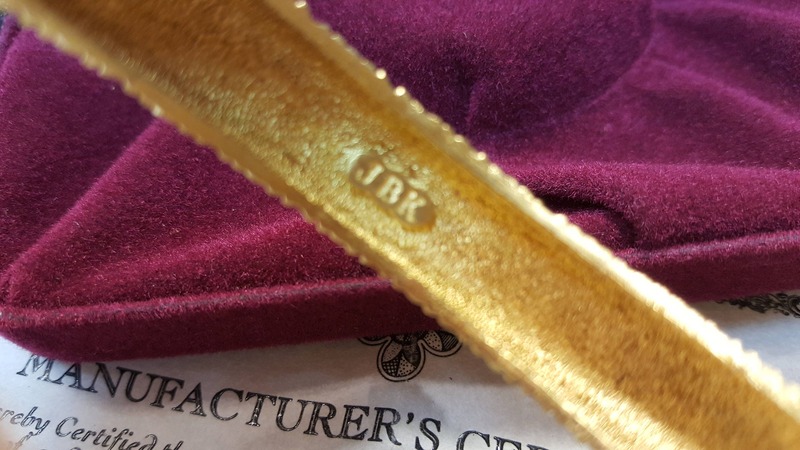 We acquired it from an estate - it has never been worn. It comes in the original box with papers included as shown in the photos. You will receive everything shown in the photos. 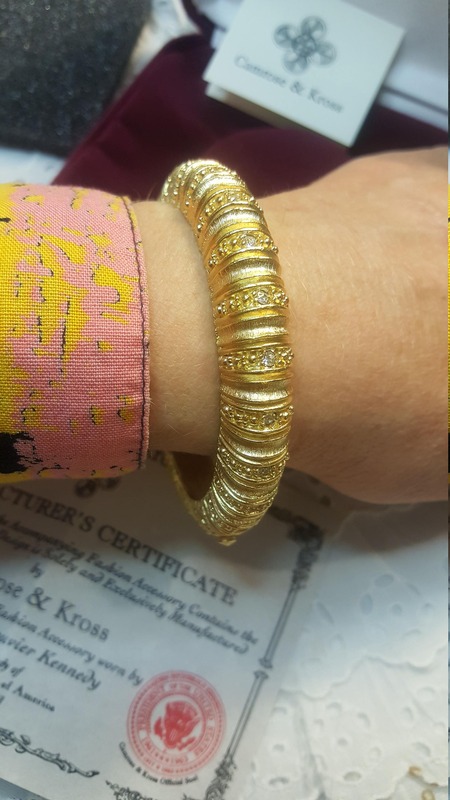 The bracelet measures approximately 7" in inside circumference. Being New in Box and never worn the condition is excellent. No stones are missing or replaced. 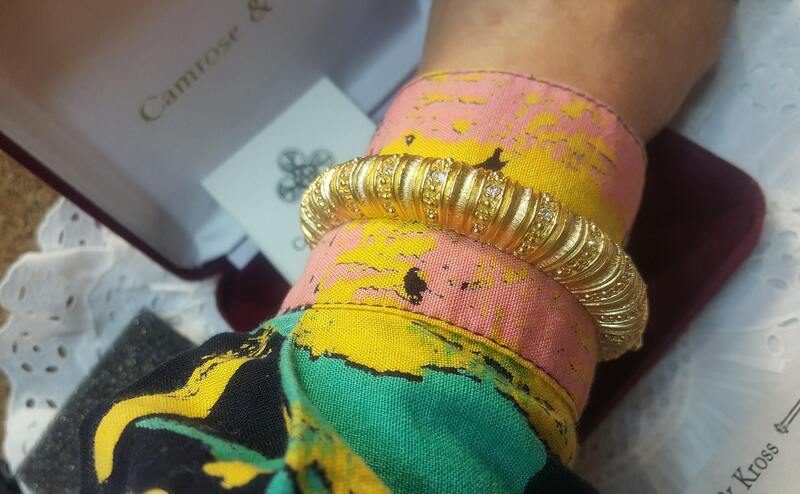 I believe the Camrose and Kross company used Swarovski Crystals for these bracelet. It is an ideal gift item. I will be very careful when preparing this item for shipment to ensure safe transit to your address.